In absolute silence, to experience the most subtle sounds and every rustle of the bush. Passing unnoticed, without breaking the stillness of the dawn and disturbing the sleepy wildlife. 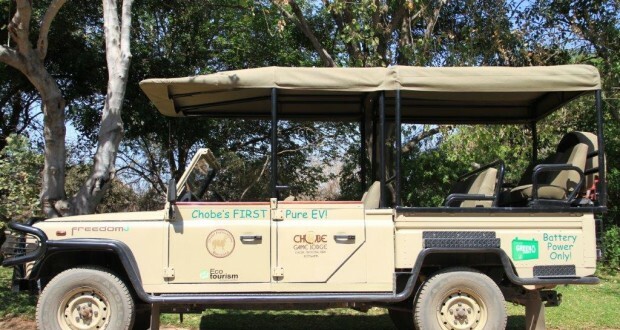 Since last November, exclusive lodges and camp sites in Botswana started to convert their rowdy diesel motor land rovers into electric ones, not only to preserve the environment by totally eliminating air and noise pollution, but also permitting the traveller to appreciate such rare early morning sounds of these unique wild animals.